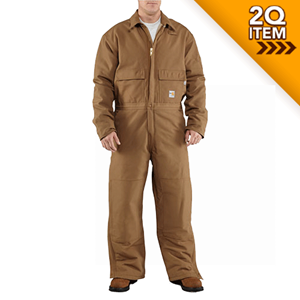 A classic in Carhartt coveralls, this flame resistant Carhartt twill coverall exceeds your protection and safety needs. Ultimate flame resistant protection with rugged durability. This FR midweight bib overall will keep you warm through cold winter days. HRC 3 Be the first to review!